On Jan 23, 2018, Tim Frick and Jamie Johnson sat down in the offices of Mightybytes to discuss running a social enterprise - a firm focused on more than just generating profit. Mighybytes is a B-Corp and an Illinois Benefit corporation, while Verde is an L3C entity. This conversation took place in our sustainability best practices series of the Verde Podcast. Mightbytes focuses on providing small business IT services, focused on digital marketing, strategy, design, implementation, and optimization of online brands. Tim discusses the environmental costs of our increased usage of computers and cell phones, as well as the environmental implications of storage of those sites, images, and apps. Host: Welcome back to episode 10 of the Verde Podcast. 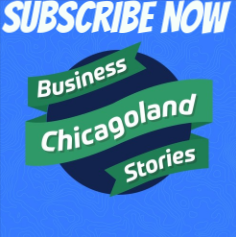 Every week, we talk to local business leaders and entrepreneurs to understand the real story that doesn't make it to the spotlight, but is how actual businesses are actually built here in Chicago. Today, we have Tim Frick, who is the owner and CEO of Mightybytes. I've been able to follow Tim for a couple years. He's quite a leader in the Ravenswood community as well as the social enterprise community in Chicago, so welcome, Tim. Tim Frick: Thank you very much. Appreciate it. Host: Tim, tell me a little bit about Mightybytes, specifically. We'll dig a little bit into B Corp thing, but tell me about Mightybytes, what year you started it, what drove you to build your own business. Tim Frick: Sure. We started 20 years ago this month, actually. Tim Frick: It was a different internet back then and different digital agencies. It was completely different. In fact, we've seen several significant shifts over the 20 years that we've been in business and the kinds of business that we do, the kind of things clients are looking for and such. I started the business to do meaningful work for meaningful organizations. Since the beginning, we've focused a lot on education. Social enterprise wasn't really a word back then, but we did do a lot of work for non-profits. That has kind of grown and evolved over the years as well. Once we became a B Corp in 2011, we went kind of all-in on that stuff and that's been a whole interesting evolution of the company. Host: Who were your early clients? Who were your first couple clients and what kind of projects did you work on for them? Tim Frick: Sure. Our first project was actually an interactive game for a toy company called Learning Curve Toys. It was an educational game similar to that game Perfection where you push the plunger down and you have to put all of the pieces in in a certain amount of time. It was kind of like a virtual version of that. We did a lot of motion graphics and kind of interactive media. Back then, it was flashing director and some DVD-ROM authoring and such, but that kind of evolved over the years to content management systems and telling better stories online. Then we got more complex with software development and we've done a number of exhibits for museums around the Chicagoland area. That about kind of sums up. Now, I'd say we work in four different service areas. We do a lot of strategy consulting, so helping our customers kind of align their digital marketing channels. We do a lot of design in UX and a lot of web and software development as well as digital marketing and optimization. The work that we do falls in those four categories and oftentimes, our customers kind of go through that life cycle from one to the next to the next to the next. Host: That's nice for recurring revenue. Tim Frick: Yeah. I think having that kind of larger, kind of omnichannel bigger picture approach to things really helps our clients how to make sense of all of things that they're doing in the digital realm. Host: Well, I'm sure spending time and figuring out the strategy first actually helps the process [inaudible 00:03:20] go smoother and much faster and better for you as the contractor as well. Tim Frick: Absolutely, although we do make sure that we focus not too much on trying to flesh everything out up front. Like many agencies, we evolved years ago from waterfall to kind of more Agile-based practices. We do a lot of iterations. We'll come up with a bunch of hypotheses on what we think will work up front and then we'll prove or disprove those hypotheses over time using these various kind of disciplines. Host: Before my company evolved to what it is, we had a iPad app and an API that showed energy savings. I didn't know it at the time and I'm definitely an Agile person. I would never work well on Waterfall, mostly because I'm just not organized enough to be. Tim Frick: Absolutely. It's so much more of a better way to work. In fact, we've kind of taken what originally was more of a software development and then slowly evolved to a project management process. Now we kind of apply that process to everything and consider ourselves ... We really focus on organizational agility internally so that we're okay with making mistakes as long as we're learning from them and, of course, correcting as we go along. Host: It's funny. I can hear someone else talking about their business and I can quickly think, "Well, if you apply Agile principles, this would be so easy to solve," but then in my own company, I never do it. I should and I talk about it and I think about it, but when it comes to application sometimes it's helpful to have someone from the outside looking in. Tim Frick: Oh, for sure. That level of objectivity is definitely necessary when you're trying to do this kind of stuff using Agile methods. Host: I assume it was just you, but who started the company? Tim Frick: It was just me. I was a freelancer working out of my back bedroom and got really busy. I was lucky enough to have some really cool clients right from the get go, and over time, built the company based on that. I went to art school. I got a bachelors in writing and film studies and a masters in film studies from Columbia here in town, so Mightybytes has been my business education. I really made lots of mistakes over the years, but have learned from all of them and didn't have a clue at the beginning, especially about how kind of run a business. Tim Frick: I think running a business is a lifelong learning opportunity for pretty much anyone who does it. Host: I went to grad school and studied environmental policy and I some ways am envious of people who have MBAs because they study how to run a business, but I've never met someone who said that it truly prepared them for running a business. Tim Frick: Right, right. Exactly. "I figured it out on day one." Tim Frick: We're seven people plus a handful of contractors and freelancers that we work with based on our workflow expanding and receding. That's pretty common in the digital agency world. We do a lot of small projects as well as a lot of large projects. We have a bunch of long-term, ongoing retainer clients. Host: How many customers in general in 2017? Tim Frick: That's a good question. We just closed out the year's work. I can tell you the numbers. I'm not sure exactly how many customers that we worked with, definitely two dozen at least over the time, but some of 'em, like I said, small, little things that we just help them with. We do hosting and website maintenance for our clients, so a lot of them have just small contracts with us. Some of 'em, we do SEO work over time, so we have a lot of kind of ongoing recurring revenue and then we have a couple, like I said, larger clients. Tim Frick: Absolutely. Yeah, I made that mistake early on. We were working with a large tech company, one of the Bell companies in the late '90s when we first opened and they were the majority of our work. Then they were like, "Oh. Well, we're not going to work with you anymore," and that was a really tough lesson to learn, and so I've really tried to diversify our client based in as much as I can without losing our soul. We want to stay focused on a specific kind of work if possible, so I try to keep it diverse and I also try to diversify the income stream. We do project work, but we also do monthly retainer work and stuff like that definitely helps with the peaks and valleys of cash flow. Host: Which come with any business. Tim Frick: Absolutely. For sure. For sure. Host: You talked about the client focus and who you go after. Tell me a little bit about the benefit corporation and the B Corp, which you are both. Describe that for people who don't know that as well as how it applies to your business. Tim Frick: Totally. As I mentioned earlier, we have been working with mission-aligned and mission-driven organizations since the beginning. Education has played a huge part of that. A lot of the stuff that we do has an educational component to it. We have always been sustainability focused. I've always been an avid environmentalist. We're down in Ravenswood now, but when we were up in Andersonville, we were members of the Chamber of Commerce there. They had an eco certification that we went through and we got a three out of four stars for our certification. That was kind of the gateway drug for me to becoming a B Corp because it kind of opened my eyes about it's not just about recycling or changing out light bulbs. There's a much larger thing there. I learned about B Corp certification on a climate ride in 2010 and I was fascinated by it. At the time, apps were all the rage and stuff and we had been doing some internal brainstorming on what that might look like for us. We realized all of the ideas that our team were coming up with had some sort of mission focus, some sort of good cause, were driven by altruism and education and stuff. We were thinking, "Well, how do we walk the walk and actually draw a line in the sand to say, 'This is what we stand for'?" We're a for-profit company. We want to be for-profit. The more profit we make, the more we're able to align that profit with better purpose and offer better benefits to our employees and all that kind of stuff, be a better community player, corporate citizen, et cetera. The L3C, which you mentioned your company is, I looked at it. That was the first thing that we looked at. We were intrigued by the idea of being able to get grants and stuff like that, which as a corporation, you can't get. Then the B Corp certification came along and when I learned more about it, I was like, "That's the thing." We went through the certification process, which can be pretty challenging and arduous, for the first time in 2011. We just finished our fourth re-certification in the fourth quarter of last year, scored highest ever. We finally cracked the 100-point mark, which is no easy feat. Then in January of 2013, the state of Illinois passed benefit corporation legislation, so the B Corp is a certification similar to Good Housekeeping has a certification or Fair Trade has a certification. You go through a process. It's an audit of your processes and you fill that out and you get a score based on how you perform and then you use that as a benchmarking tool to improve over the years. The benefit corporation legislation allows you to change the legal structure so that you actually can make sure that align purpose and profit alongside each other in the way that your business runs legally. As a benefit corporation, we are legally required to provide some sort of societal benefit alongside the standard corporate edict of earning and generating profit. We changed that up every year. We kind of evolved those processes and what that means to us as a company and then we produce a report every year that says, "This is the benefit that we provided to society alongside pursuing profit." Host: How many benefit corporations are there in Illinois? Tim Frick: That's a good question. Last I checked, which I think was last year, there were over 50. That's a little bit harder to track. You can go to bcorporation.net and actually track how many certified B Corps there are. They have a search engine and you can actually see. There's about 2,500 or so B Corps right now around the world, over 50% of which are in other countries, but benefit corporations, you'd have to go to the individual states who passed the legislation and look at the Secretary of State's listing. Host: I started a company in 2010 and I was very excited about the L3C concept, how it kind of ties in a mission to your revenue. Still, to this day, every dollar of revenue my company generates goes toward reducing energy, so the L3C concept kind of petered off in its ability to kind of excite the marketplace. I think the IRS never really ruled in a way that made it recognized, so it's good to see that the same kind of theory of mission-focused, but still for-profit, because I totally agree with you. I love nonprofits. I like hearing what they do, but there are some things that I think for-profits can do better. Tim Frick: And there's opportunities in both sectors for us to learn from each other. I love being in this kind of hybrid fourth sector where we can learn a lot about how to run with more of a conscience from nonprofits, but nonprofits can also learn a lot from for-profit companies about how to run as a better business. It's a really great opportunity to share a lot of knowledge. Host: What are some of your favorite parts about running Mightybytes? What do you wake up in the morning, first thing that you're thinking about and ready to go? Tim Frick: Sure. I mean, it's always a balancing act. It's a really competitive industry. There are over 560,000 agencies around the world that do some variation of what we do. Some of them could be just specifically on blogging or copywriting or content. Some could be specifically focused on web development, but that's a lot of companies who do what we do around the country and having been around a long time, we have amassed a lot of experience. It's tough to compete. Business development is always a challenge, but I also really love the variety of it and the fact that we have taken much of our 20 years and focused it on finding really good clients and I'm very proud of our portfolio. Being able to do ongoing work that really literally changes the world, I'm very proud of that and that's really exciting. We're one of the few agencies that apply sustainability principles to the process of creating digital products and services. When we became a B Corp, each company gets to define what that means for them, and we were like, "Well, as an environmentalist, we'd like to be able to figure out how we can be a better, more environmentally friendly company." Right around the same time, I was learning about the environmental impact of the internet, which is massive. I mean, it's more than the airline industry and at the time I was learning about it, it was about a billion tons annually of CO2 emissions. I was kind of floored by this because I was like, "Well, wait. That's what I create every day for a living, and so how can I reduce our impact?" We went on a long mission to find really good green hosting. Ironically, we were trying to find either other B Corps or a lot of smaller companies to support. We ended up landing on Google Cloud platform because, of the companies that are around, they are super green-focused and really impressive. It's also a very scalable and expandable solution for our clients. Then we started kind of doing standard kind of lifecycle assessment efficiency processes on our own process, figuring out, "How can we make sure that what we built is optimized, efficient, and powered by renewable energy?" We've been working on that since about 2012. We created a free tool called Ecograder, which is at ecograder.com. People can put their URL in and they can crawl and find out whether or not their site is kind of sustainably focused. Host: Cool. I didn't know that. Tim Frick: Yeah, so it uses the green hosting, web hosting database and kind of cross=references whether you have green hosting and then identifies a bunch of things in the area of UX and content and findability for performance optimization for efficiency and such. We created that. We created a microsite called sustainablewebdesign.org. I wrote a book called "Designing for Sustainability," so it's really become part of the philosophy that guides Mightybytes' mission. Host: Do you find that that draws in a lot of customers, that focus? Tim Frick: I think not as much. I think people appreciate that we do that. I think there's a lot of people in business who are still like, "Oh, it's green. How much extra does it cost?" We get a little bit of a side-eye every now and again. Our clients really appreciate the green hosting thing, but they also really love the efficiency thing. They also are like, "Oh, you mean my site's going to run faster? It's going to be friendlier for users? People are going to be able to find things faster? That's awesome. I'm all about that." We don't typically lead with, "You have a green website." We more lead with, "You have a really optimized, efficient website that is going to be better for your users and better for your company's bottom line and thus more sustainable for the long haul. Tim Frick: Yeah, we work with them. Host: To this day, everything is slow, so I don't know that they're very good at what they do, but their green focus got me. Tim Frick: What we struggled with was a lot of the smaller green hosting providers, especially since we do work for some larger organizations like YMCA and Allstate and a few other larger companies, it's hard to go with a smaller provider. A lot of them, while the commitment to renewable energy is certainly admirable, there's not necessarily a hand-in-hand approach to customer service and reliability, and so we would have websites go down a lot. We would have to be waiting with some of them. Some of the green hosts we worked with, we'd be waiting significant periods of time to try to get answers as to why certain things were happening with their website and our clients would be like, "Absolutely not. No way." Host: The thing you have to do is keep that side happy. Tim Frick: Exactly, so that was ultimately why we ended up going with Google Cloud platform. As much as I love supporting small businesses and especially other B Corps, we just wanted to make sure that we were covered in terms of reliability and customer service. Host: They're 100% covered by Google? Tim Frick: Yeah. The company went 100% in 2017. Tim Frick: For a company that size, I'll take it. For sure. Host: For sure. Just to stay focused on that, do you have any thoughts about Bitcoin mining and [crosstalk 00:18:21]? Tim Frick: Yeah. I've heard a bunch of different things that a single Bitcoin transaction uses as much energy as your house in a week and every time new Bitcoins are released, they use up as much energy as the country of Iceland. There's a whole bunch of things out there that are bad. Host: Those can't be factual, right? Tim Frick: I mean, a couple of 'em are from factual resources like Guardian and Fast Company and stuff like that, but we haven't really cracked that nut in terms of how it impacts our own work yet. I think blockchain in general offers a lot of opportunity for sustainability because of its transparency, but I do think if it is indeed using as much energy as people are purporting that it is, something's got to be addressed there before it explodes or before it gets much larger. Host: Well, and I'm sure that creating a penny with copper or whatever isn't exactly environmentally safe either. Tim Frick: Right. For sure. Host: I'm sure it takes careful analysis, but definitely the buzz right now is that it's a [inaudible 00:19:26] currency, which is crazy. Tim Frick: Which is crazy, yeah. I think overall, the biggest eyeopener for me in the last 8 to 10 years has been that we've been brainwashed in the digital age to think that, "Digital is better. Digital is more sustainable. Digital is greener. It replaces paper. Why wouldn't it be?" All this kind of stuff and so much of the research is showing that in certain cases, it's actually not better. We really put as much effort as we can as a small company into trying to figure out how to be as sustainable as possible in all of our practices, right down to buying pens for our design labs, markers for our design lab that have soy-based replaceable ink cartridges and stuff like that. We kind of put that philosophy across the business. Tim Frick: Those environmental nerds. Tim Frick: Oh yeah, and it can be tough and a struggle. It can be a lot of extra work depending on what it is that you're trying to do, but to me, if we have a better system or sustainable feature for our planet, I'm all about that. Host: You said 20 years? Host: In 20 years, do you have a particular time that is most challenging in running Mightybytes? Tim Frick: There have been a number of them. Right after 9/11, I had 10 contractors I was working with and basically had to tell them I had no work. About February of 2002, I basically went down to myself, again, back to freelancing. We had some real struggles with the Illinois budget crisis in 2016 because we do a lot of local work and so many of our clients were reliant on that money and the first thing that goes when nonprofit isn't getting the money it's used to is marketing projects. We had a real struggle with that and we had to do some kind of significant pivots in how we do things. We don't typically reply RFPs anymore and there's a number of things that we did over the course of the last couple years to do a pivot, but also keep our soul. 2017, we were 18 times more profitable than we were in 2015. Tim Frick: And even though 2015 was our highest grossing revenue ever, 2017 was short of that by one project, and yet we were much more profitable. That's definitely some changes that we made for the better. Host: Sell for a couple years. I totally agree. RFPs just are ... You're always a year late to that [crosstalk 00:22:37]. Tim Frick: In so many levels, it's a race to the bottom. I mean, if the person issuing them is making a choice solely based on price, someone like my company's never going to be able to compete on price because we're 20 years old. We have a ton of experience. We're not the cheapest thing on the market. We're not the most expensive either because we're a small company, but we don't want to compete on price. We don't want to do the cheapest job out there. Then there's also, kind of going back to what you were talking about earlier, an RFP necessitates that you do all this [specing 00:23:08] up front and that you do all of this work upfront that ultimately, you end up throwing away when you start doing continuous learning and Agile practices. You learn as the project goes along and you're like, "Oh, well that didn't work." It's just this huge waste of time and on top of that money, too. There's a guy out of Canada who said that Canada alone estimates that they waste $5 billion a year on responding to RFPs. Companies spend that amount of time responding to RFPs and so they waste $5 billion of their gross national product every year just responding to RFPs. That's a lot. Host: But I couldn't imagine doing it. Tim Frick: I think the biggest challenge there, at least in what I've seen, is with nonprofits because so many ... they do RFPs because they're grant-driven and the grant is a finite amount of money, which kind of necessitates a project fee. What happens is that puts this knee-jerk reaction on behalf of the nonprofit to cram as much as they can possibly cram into that project for the amount of money that they have without, possibly, testing it first. They'll throw a bunch of features at something and then you launch and it's like, "Oh. Well, guess what? Half of those things don't work or the users actually don't want that. They want this other thing," and yet the agencies may try to coerce them or help them to kind of better understand a better way of doing things, but if you're contractually obligated by what you responded to in an RFP, which was all the way upfront, it can be potentially lose-lose. Host: I totally agree. The last question I always ask people is about how you ... We've talked already a lot about this, but making sustainability a priority within your business. We've already talked a little bit about this, but I'm curious. You come from Michigan, right? In the UP? Host: What was it growing up in the UP that drove that into you as a priority? Tim Frick: Proximity to nature. I mean, honestly, that is it through and through. I grew up in the woods. I grew up on a lake in a tiny town in upper Michigan. As much as I didn't appreciate it growing up, once I turned 18 and was ready to go off to college, I was like, "See ya. I'm out of here," and wanted to be around urban culture and be in cities and all of that kind of stuff, but it didn't take too long for me to realize, "Oh, I appreciate cities that have proximity or access to nature." Chicago's got a really amazing lakefront, obviously, and a really amazing set of forest preserves and stuff, but to be in big nature, you have to drive for a while. You have to get way out to be in a place where you're in a lot of nature and I really appreciate that. I just have always had a kind of conservationist mindset about that kind of stuff and as I became more and more educated on the role business has played in environmental issues over the years, I just became more and more passionate about that and more and more passionate about making sure that I'm not part of the problem, that I'm part of the solution. That was one of the things that seemed B Corp certification and having this benchmarking tool for building a better business, I was like, "The light bulb is on." I was like, "That. That's the thing that makes sense and that's what's going to fix us." Host: I would say I don't find it common, but it's nice when you're running a business and occasionally you catch that moment of clarity or connection to something else. Host: Well, Tim, we've never really gotten a chance to talk much. I've known you for a long time superficially and through other people, but I was impressed and I'm glad to have connected. Tim Frick: Awesome. Thank you. Thank you very much for the chat and the talk. Appreciate it. Host: All right. Thanks, Tim. Did you know there's probably hundreds, even thousands, of dollars of savings hidden right under your nose? We can help you find them. Schedule a free energy efficiency assesment today! Previous Why Is a ComEd Thermostat Rebate Available in Illinois?